Mediation is a procedure in which a nonpartisan outsider causes the parties involved to settle issues between them and come to a resolution both parties can agree on. The mediator does not decide on choices or proposals about the result. Instead, the mediator helps with correspondence, understanding, and imaginative critical thinking to solve the problems at hand. 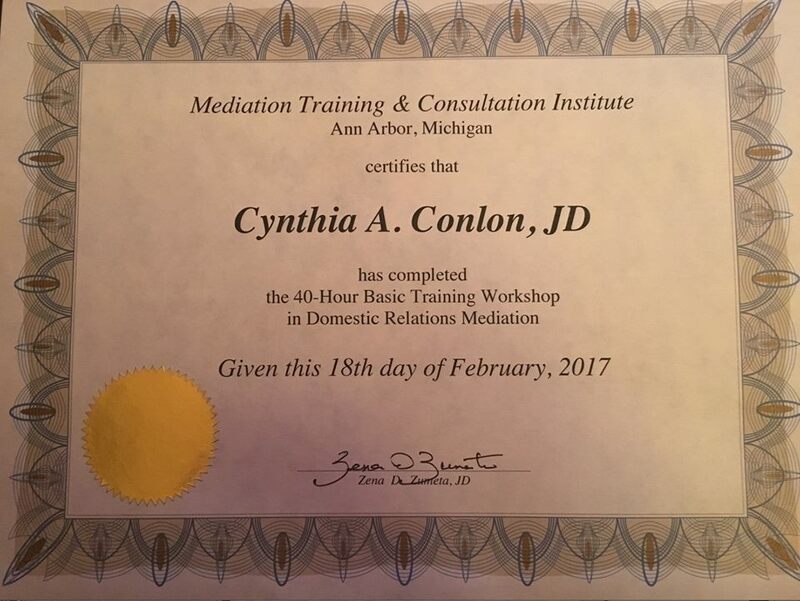 The mediator enables individuals to achieve a mutual agreement, which is then reviewed and written into contract or introduced to the court. An experienced, sympathetic mediator brings an unbiased, competent voice to a predicament, causing those involved to discover arrangements acceptable to all parties. With such a mediator, individuals can cooperate to effectively tackle issues that appear daunting when confronted alone. Conlon Legal Services is now accepting clients who need assistance with divorce, child custody, parenting time, and child support matters, domestic relations mediation, as well as those facing criminal charges in the Grand Traverse County area. Conlon Legal Services accepts all major credit cards.